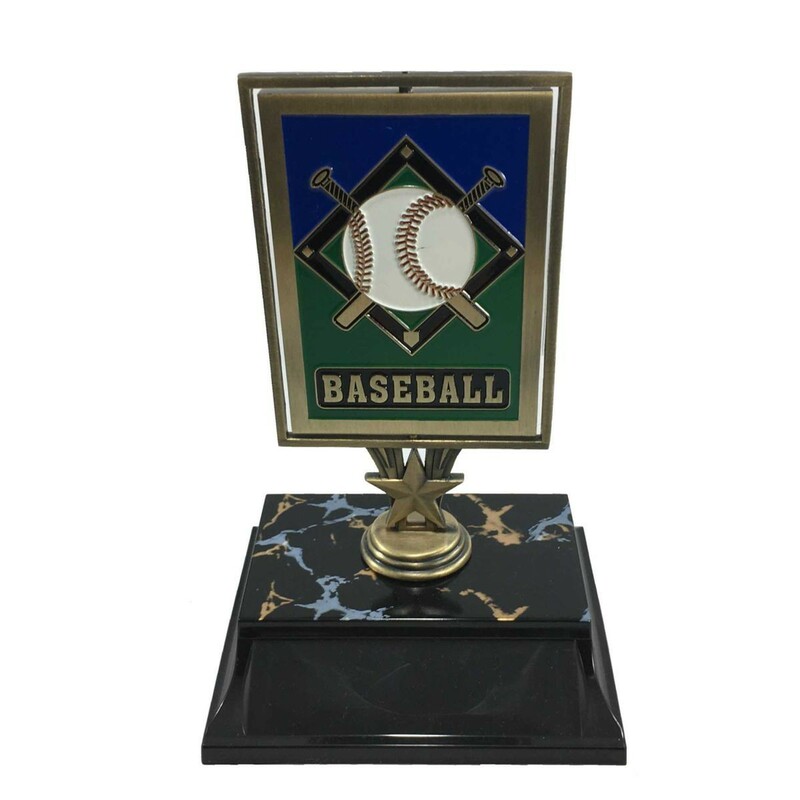 For a baseball trophy with a twist, give our Spinning Photo Holder Baseball Trophies to everyone on your team! 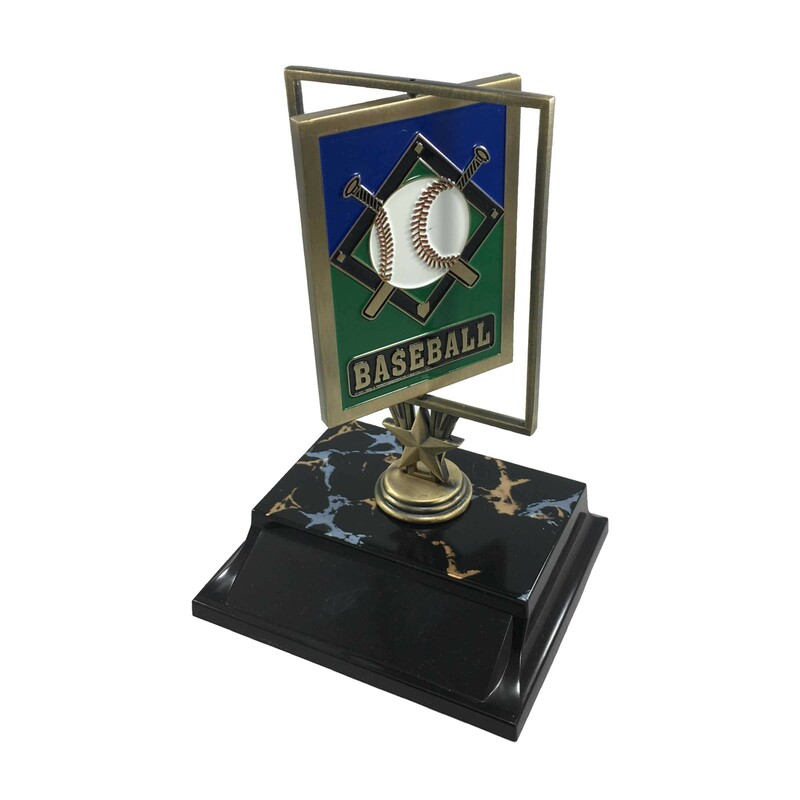 Choose your favorite side with this unique baseball trophy with a full color baseball scene on one side, your favorite player's 2.5"x3.5" picture on the other. 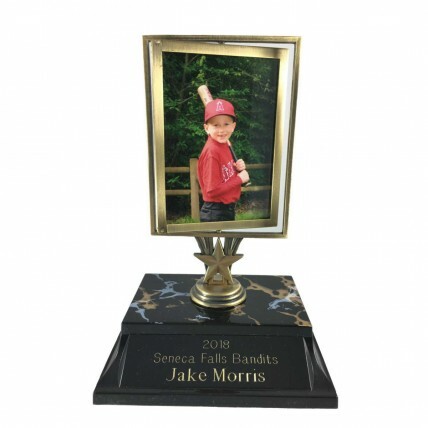 The base features 3 lines of customized engraving for free! Limited Quantity; while supplies last!